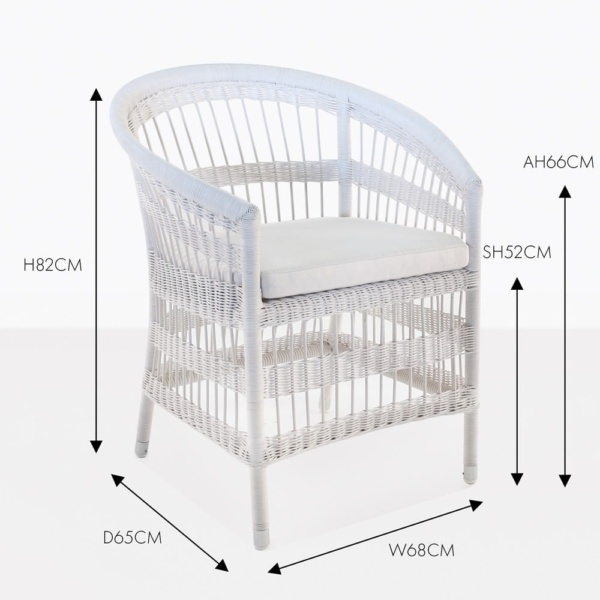 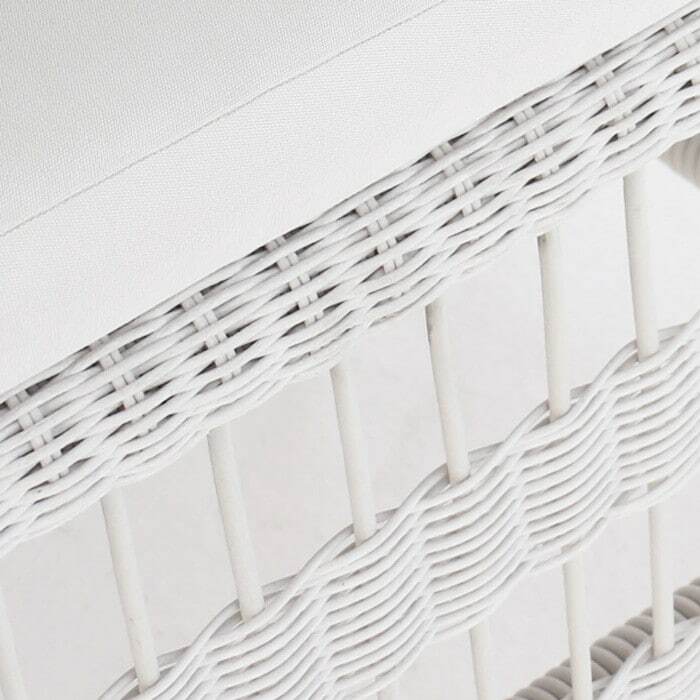 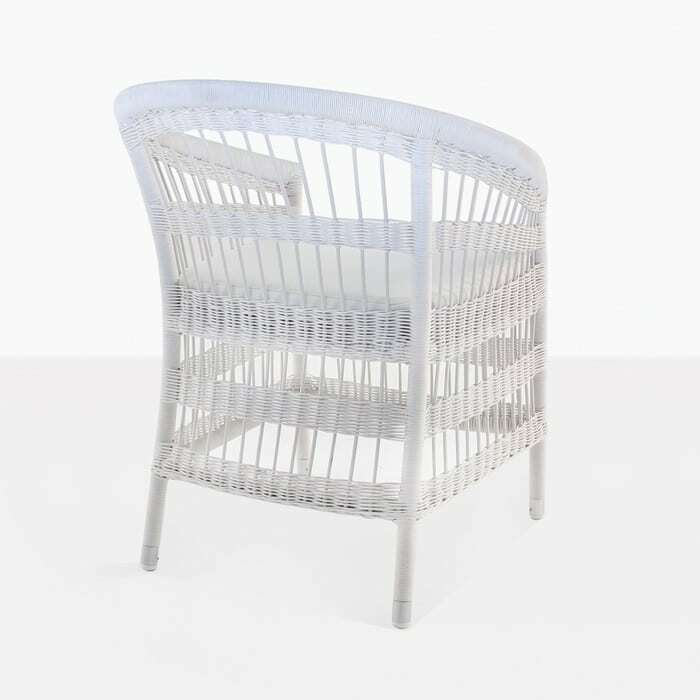 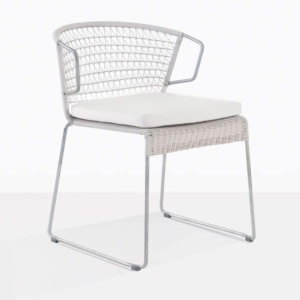 Create a chic and elegant outdoor dining space with our Sahara dining chair in white wicker. 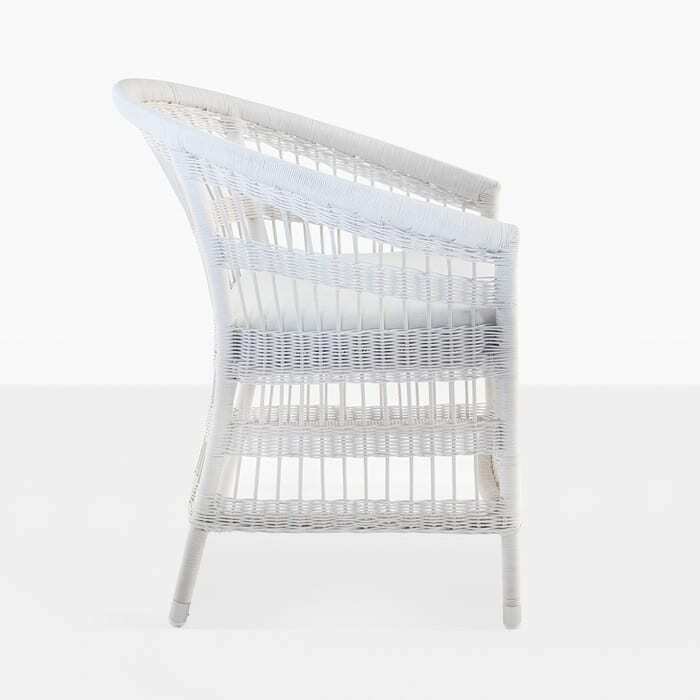 It has a dreamy summer look that will go beautifully with many of our outdoor dining tables. Not only is this chair stylish and very comfortable, it is also made with premium materials that are strong, durable and easy to keep clean. 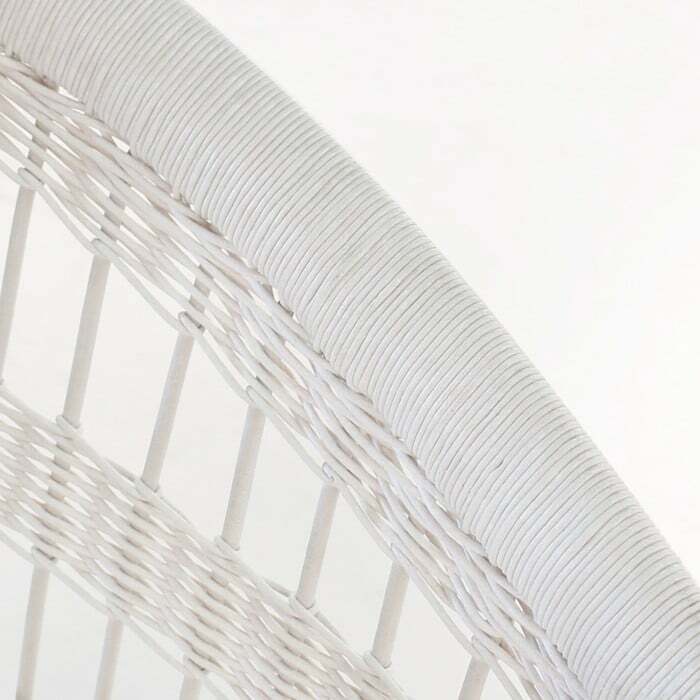 We topped it with a Sunbrella cushion so that you can be sure to enjoy long delicious meals with friends and family and be comfortable.